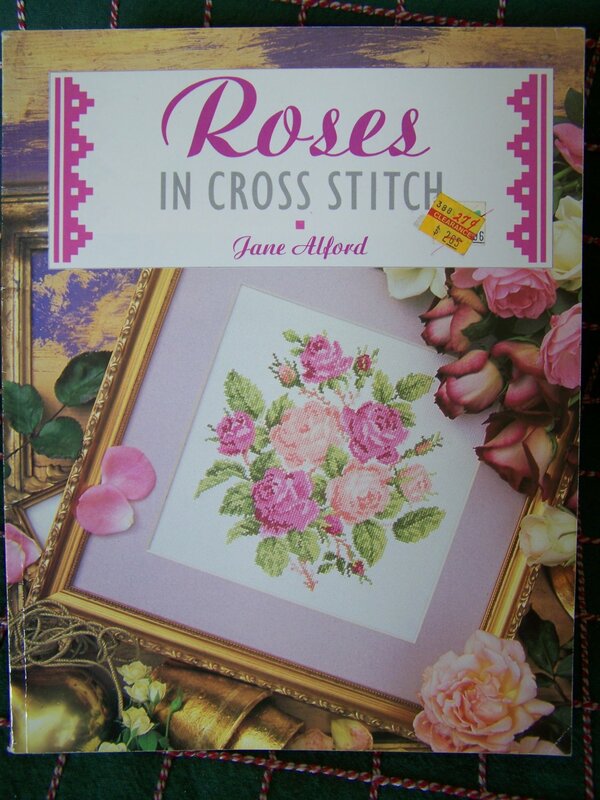 1996 Jane Alford Roses in Cross Stitch pattern book. Softcover book is 10 x 8" with 47 pages. This beautiful book is full of everything roses and a few other types of flowers. I have more cross stitch patterns and back issue magazines and I do combine shipping! Inventory box 51. One of The Cross Stitch Collection series, this provides simple diagrams for the beginner, illustrating basic skills and stitches, as well as more elaborate designs and projects for the more experienced needle worker. It includes instructions through to making up stage, and counted thread charts for each of 20 projects featuring roses. There are twining rose designs for place settings, baskets of roses decorating cushions, rosebuds on greetings cards and a sampler incorporating four different types of rose. ( Click on picture to SUPERSIZE ) I'll add extra pictures by a request of a buyer, so if you want to see a certain project, please ask and I'll get it posted for you! Happy crafting, Brenda..
S & H to the USA : $2.75 first class, only $1.00 for an additional back issue magazine. I use Priority flat rate boxes for large orders of magazines etc. S & H to Canada $5.00. **International: Paypal only. Let me know how many you need and I'll give you a price. Payments accepted: Debit cards - credit cards - online checks - balance transfers through Paypal (no Paypal account required), Money orders, Cashiers checks, Personal checks with a 10 day hold unless your a regular check paying customer. I have over 10,000 new and vintage sewing, knitting, crocheting, cross stitch and plastic canvas patterns in stock!